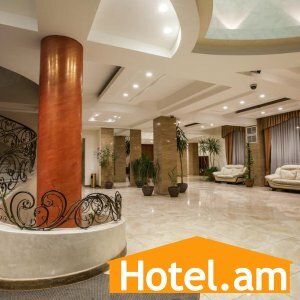 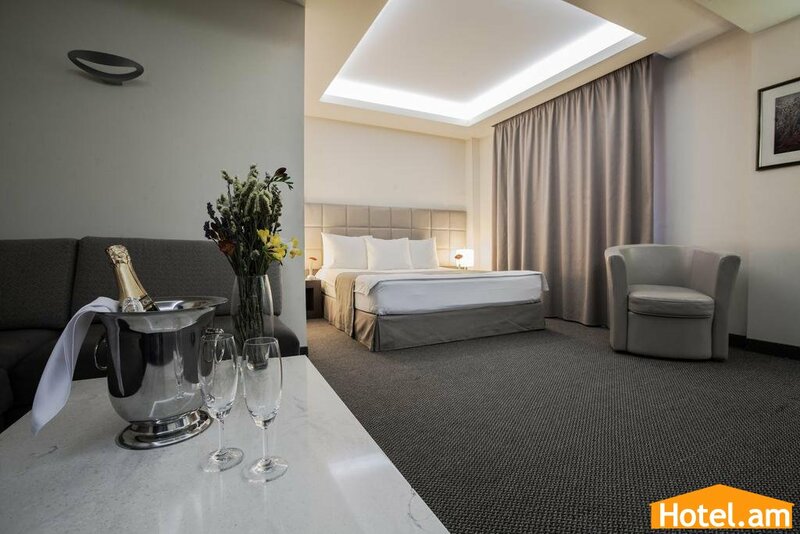 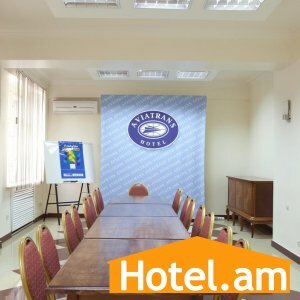 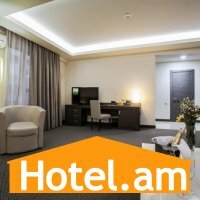 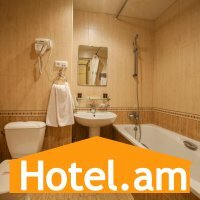 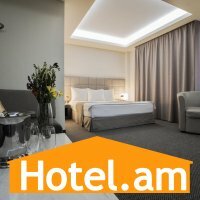 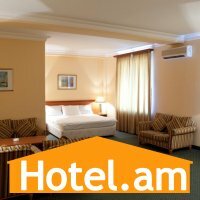 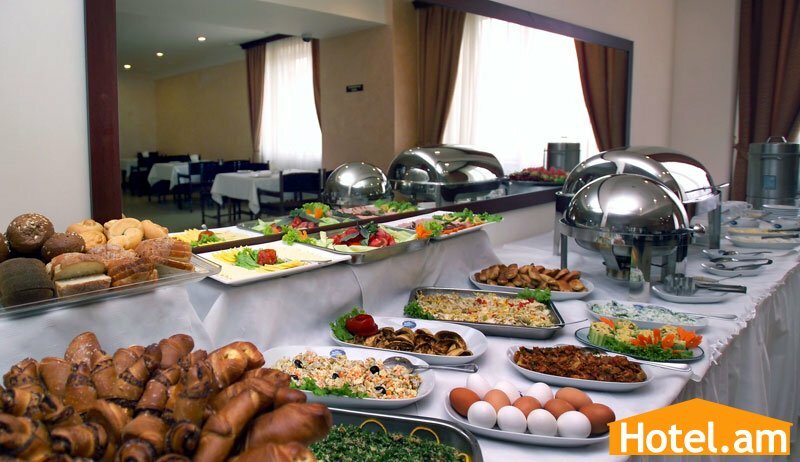 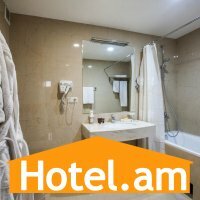 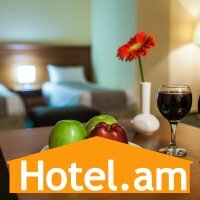 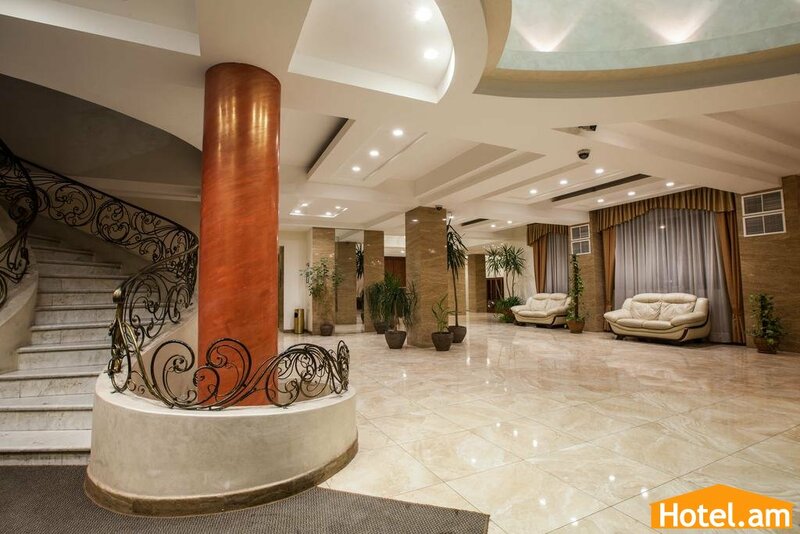 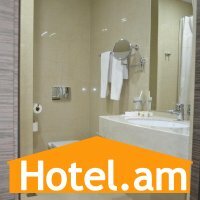 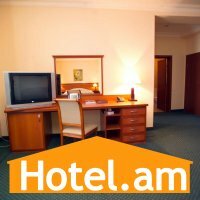 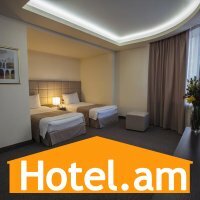 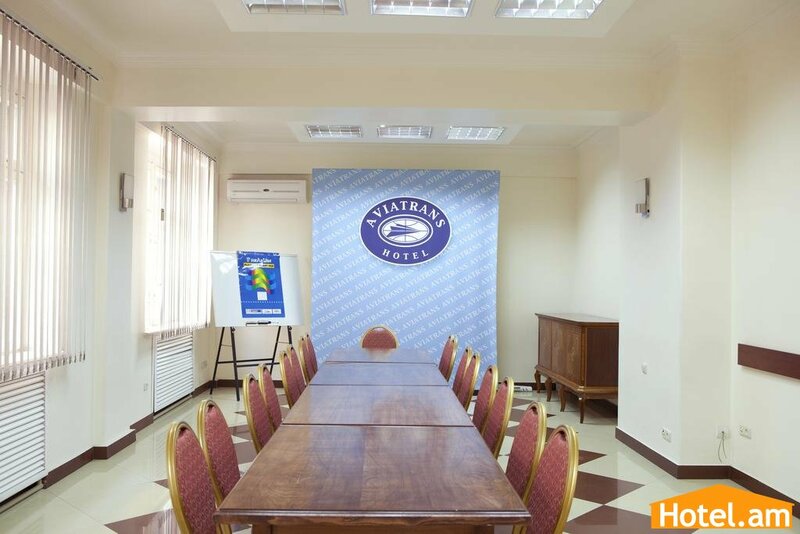 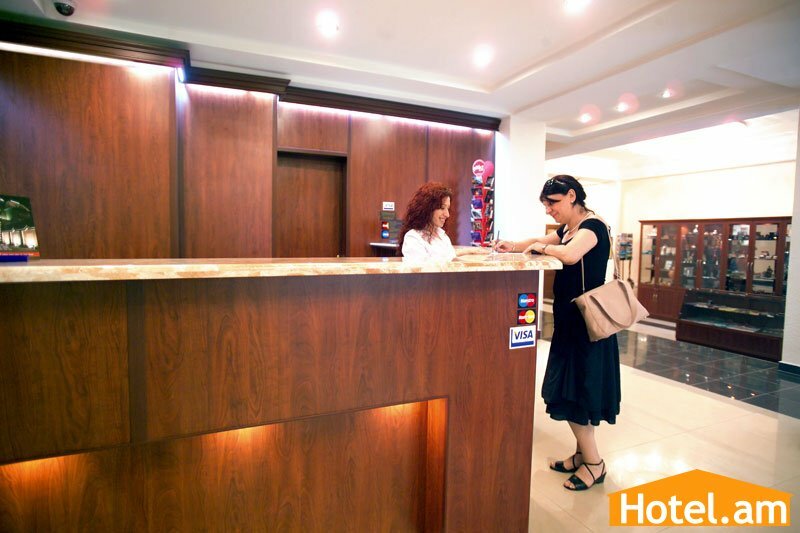 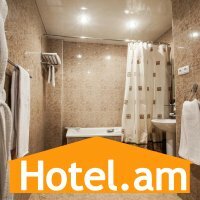 Hotel Aviatrans is located in the historic center of Yerevan on Abovyan street (crossing of Northern Avenue and Abovyan str.) 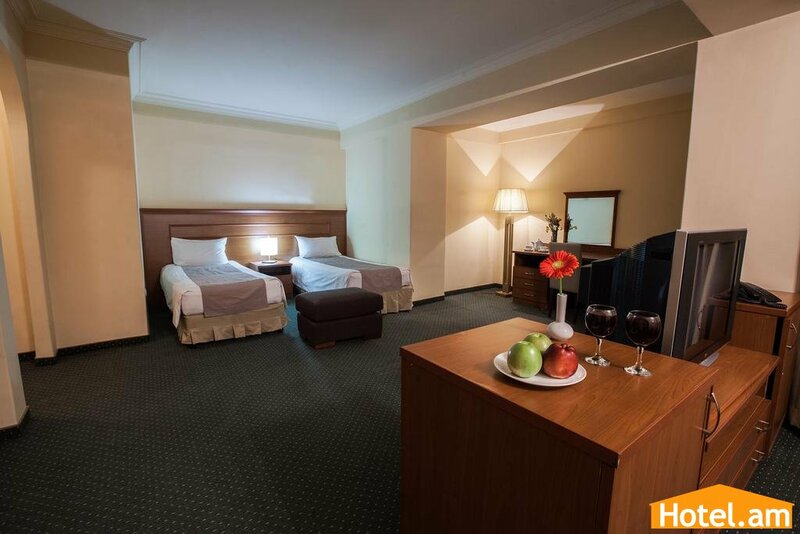 - one of the oldest and well-known streets of the capital. 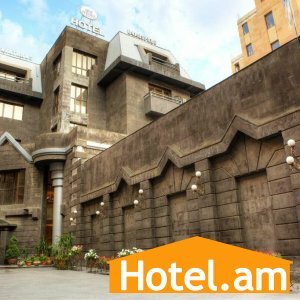 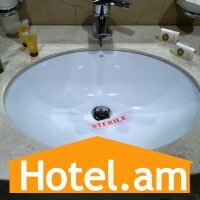 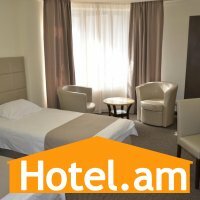 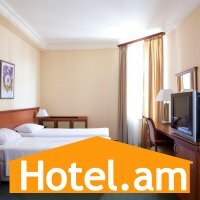 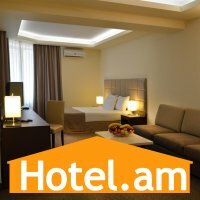 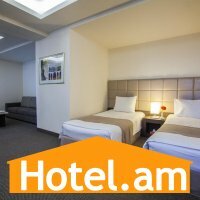 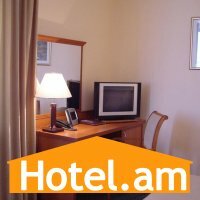 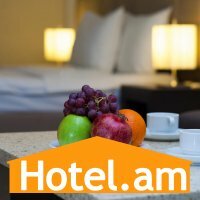 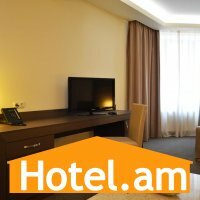 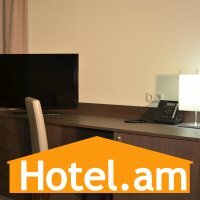 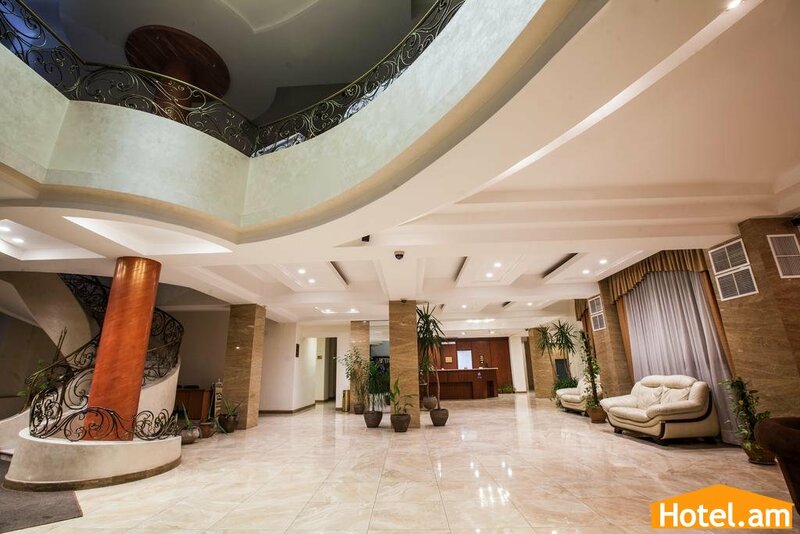 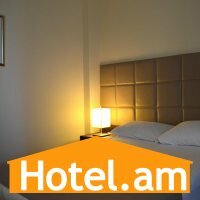 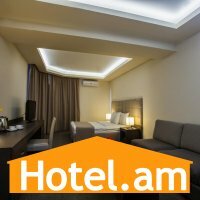 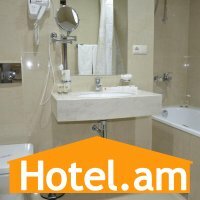 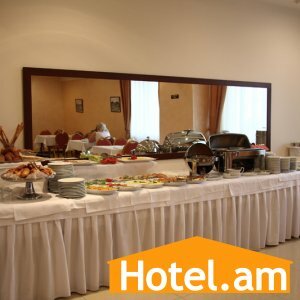 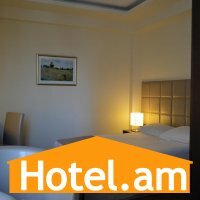 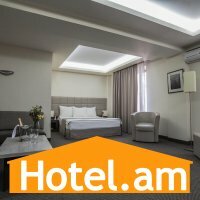 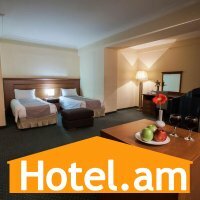 The hotel is well positioned for both business and tourism: within three minutes’ walking distance is the Republic Squares, where the Armenian Ministries, Central Bank of Armenia, National Gallery and Museum of History of Armenia, the metro station "Republic Square", the Vernisage are located and within 15 minutes’ drive from Zvartnots International Airport. 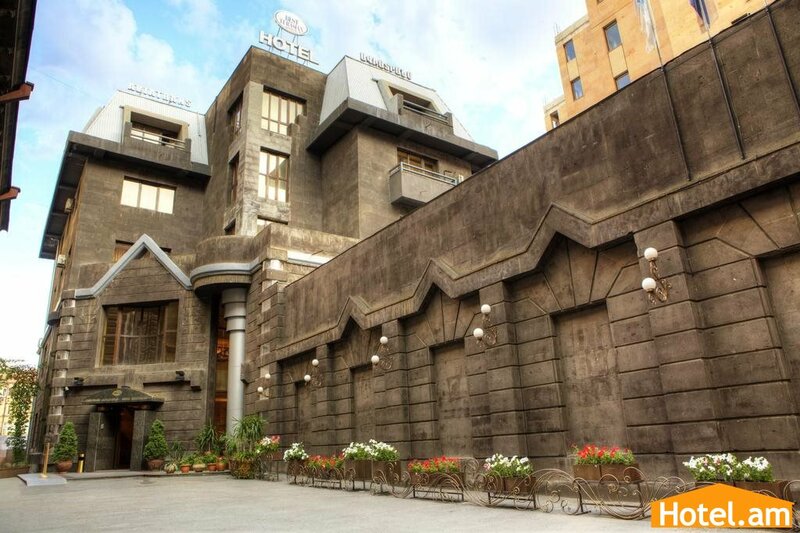 The good location of the hotel right in the cultural, business and trade center of Yerevan makes it possible for our guests to be in the wake of the city's events and entertainment, get to know the ancient Armenian culture and purchase Armenian hand-made souvenirs. 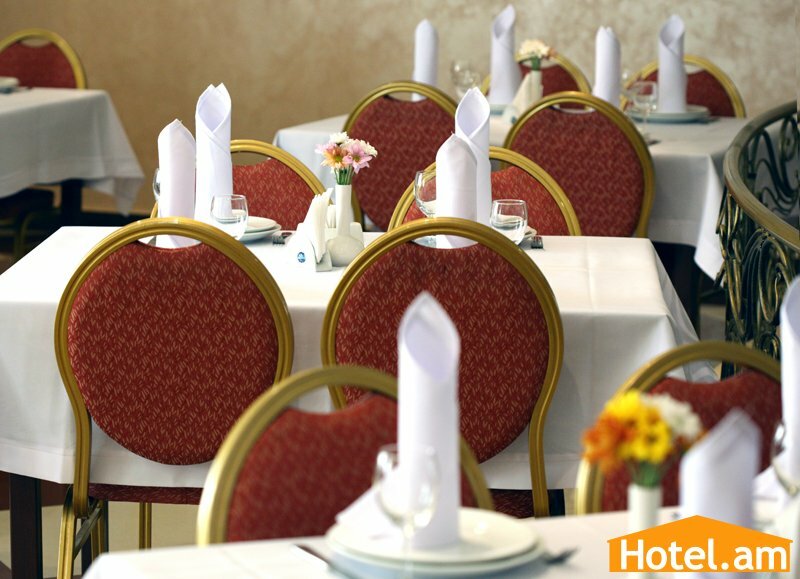 Many bars and restaurants in the city center offer menus good for most exquisite palates. 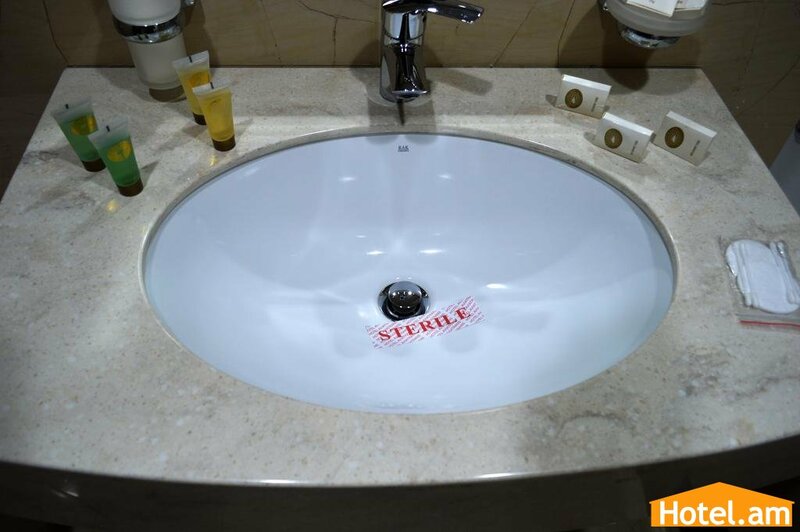 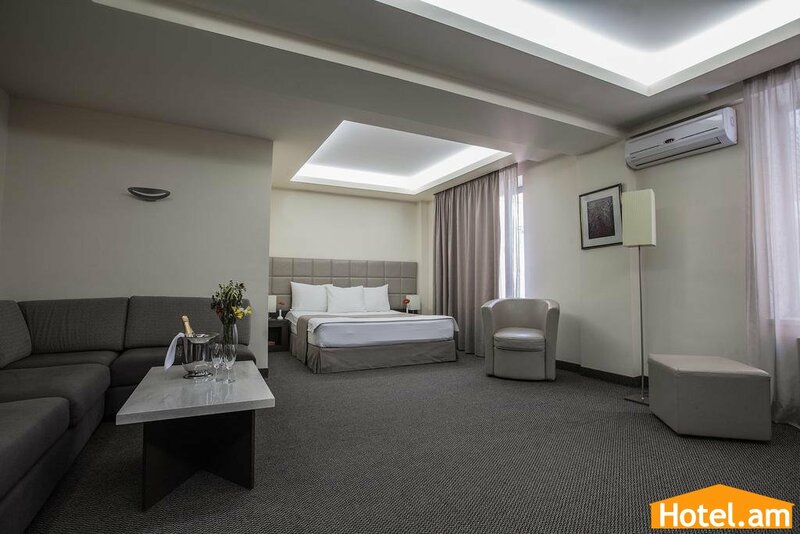 Room Facilities: Safe, Air conditioning, Desk, Heating, Armchair, Carpeted, Telephone, Radio, Satellite channels, Flat-screen TV, Minibar, Refrigerator, Bathroom, Bathtub, Hairdryer, Free toiletries, Toilet, Slippers, Bathrobe, Wake-up service. 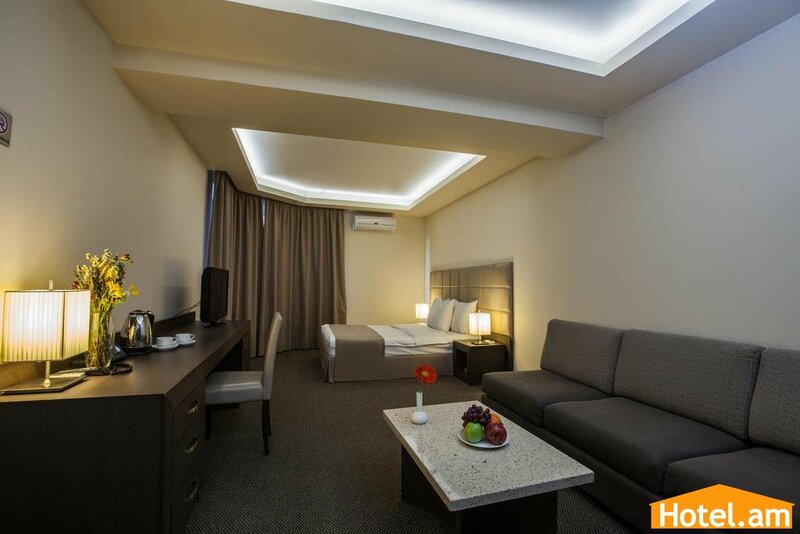 Room Facilities: Air conditioning, Desk, Sitting area, Heating, Carpeted, Sofa, Telephone, Radio, Satellite channels, Flat-screen TV, Minibar, Refrigerator, Bathroom, Bathtub, Hairdryer, Free toiletries, Toilet, Slippers, Wake-up service. 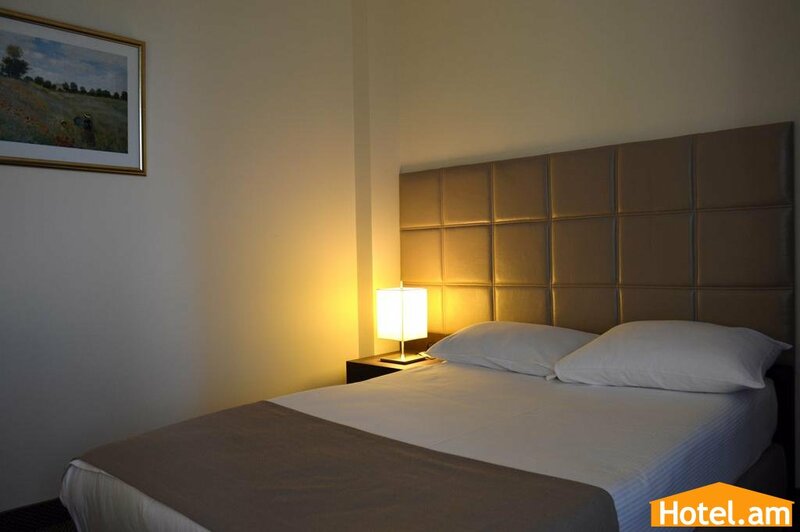 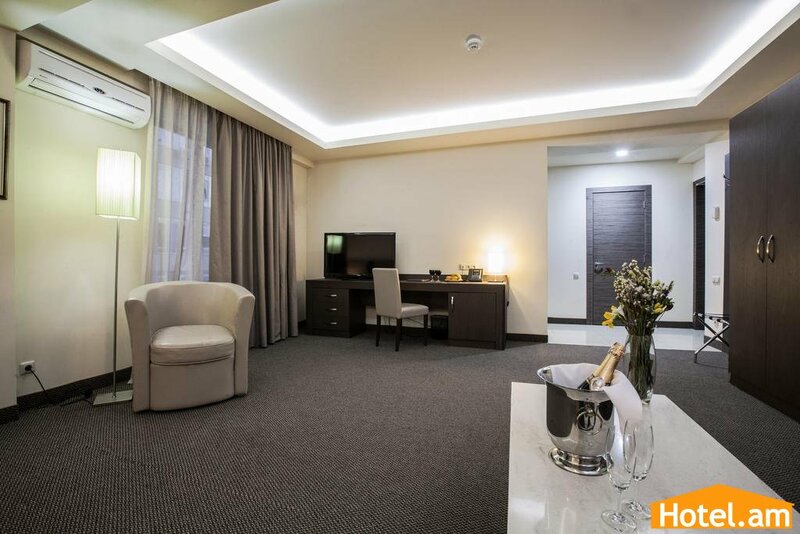 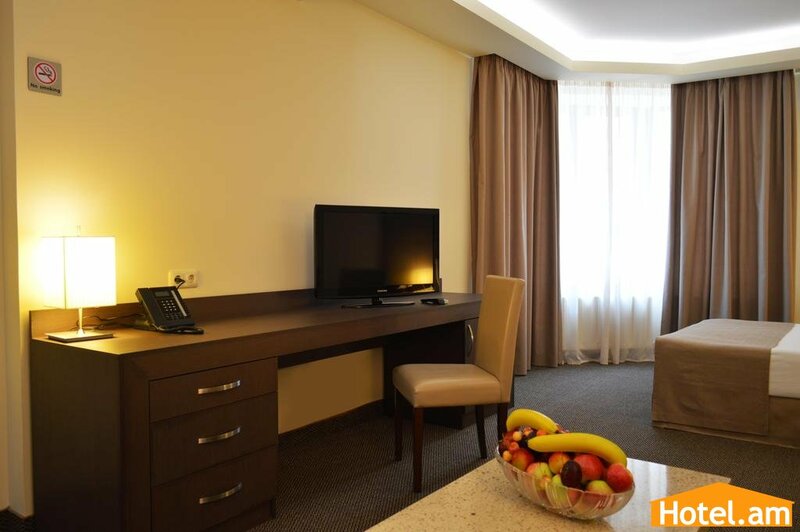 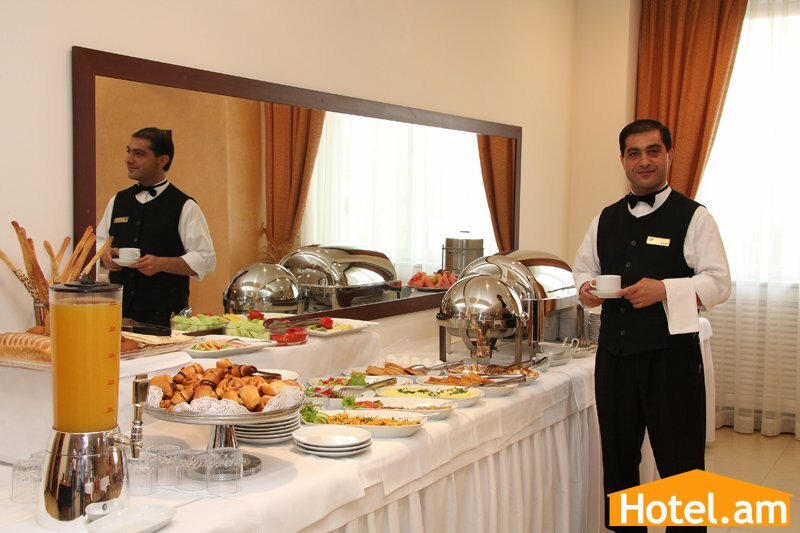 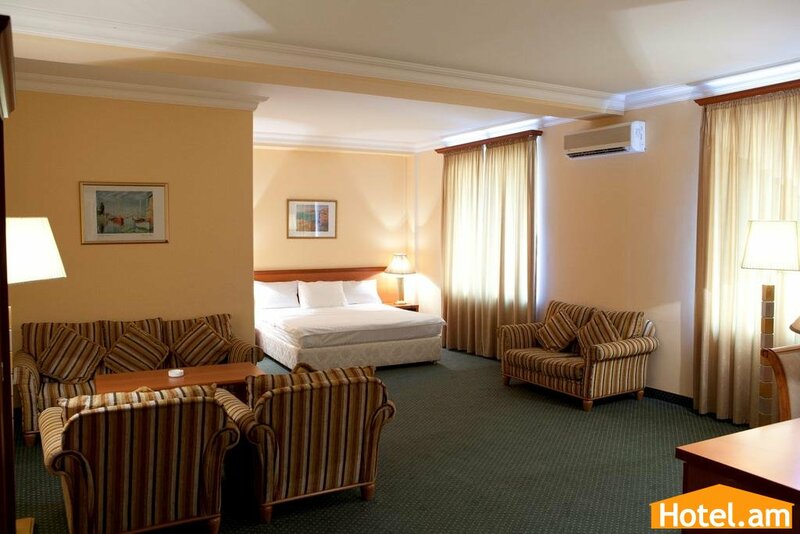 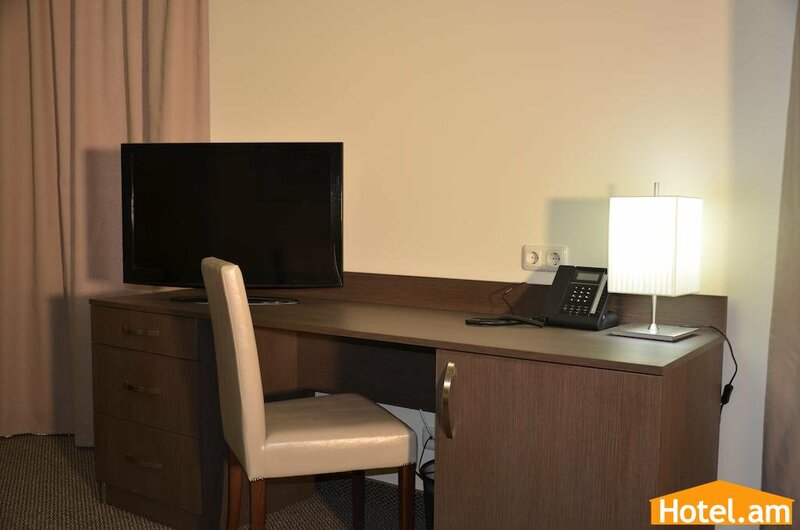 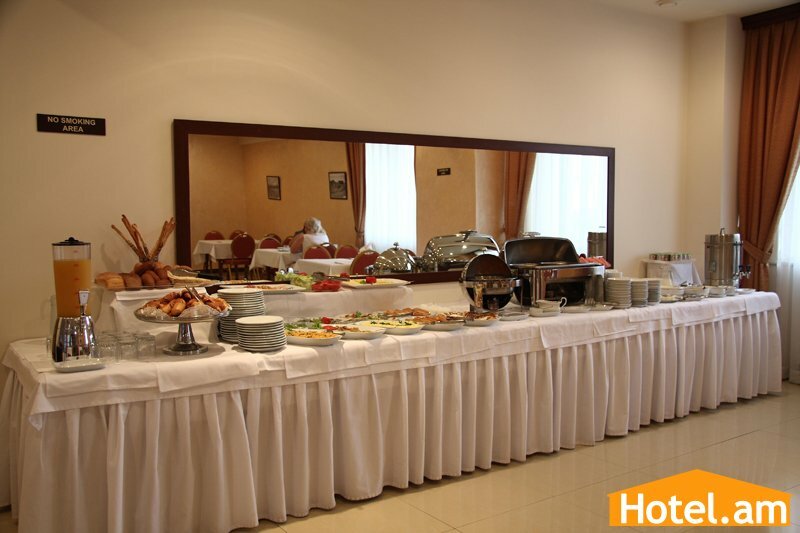 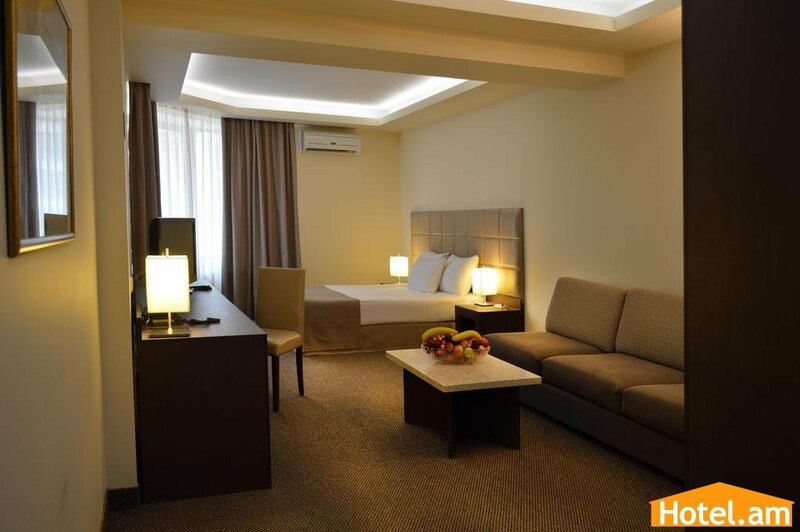 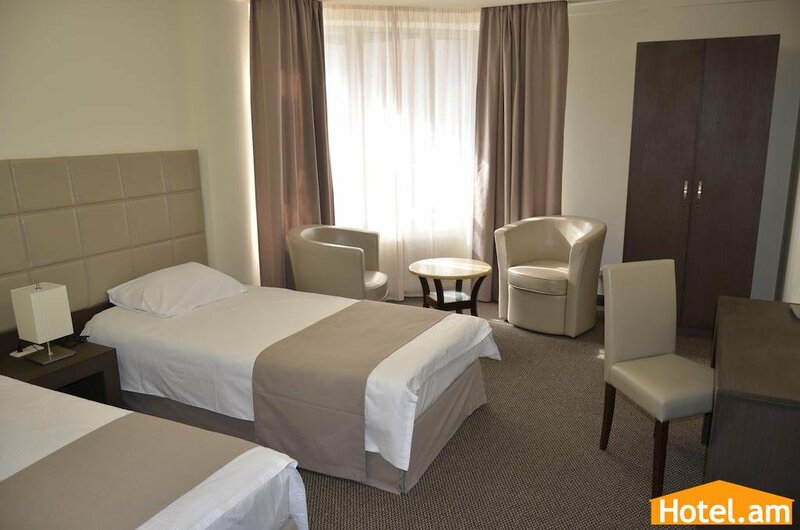 Room Facilities: Safe, Air conditioning, Desk, Sitting area, Heating, Carpeted, Interconnecting room(s) available, Sofa, Telephone, Radio, Satellite channels, Flat-screen TV, Minibar, Refrigerator, Hairdryer, Bathroom, Bathrobe, Free toiletries, Toilet, Slippers, Bathtub, Wake-up service. 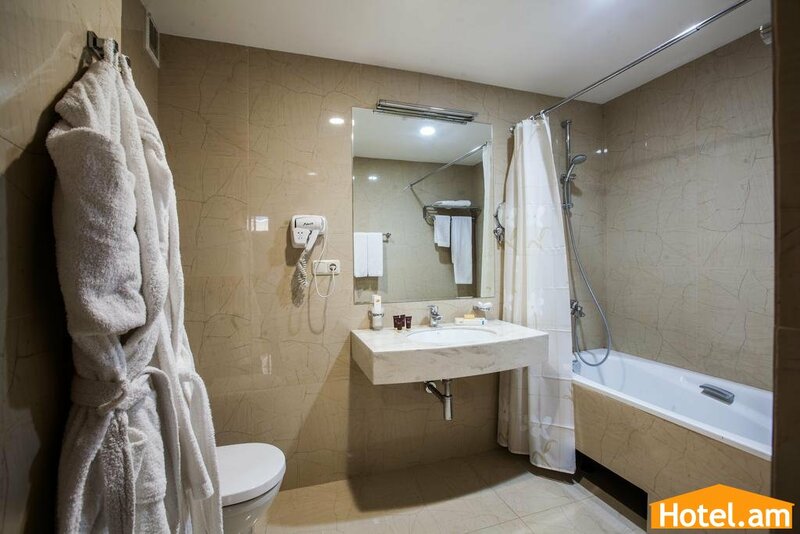 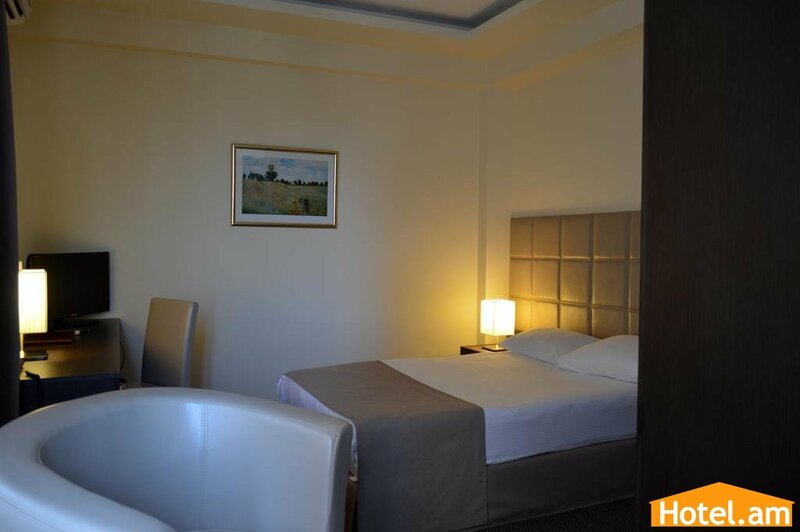 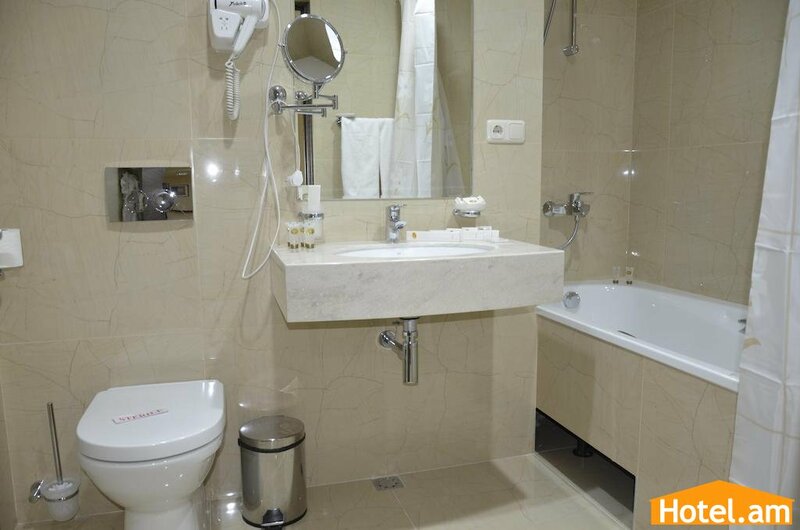 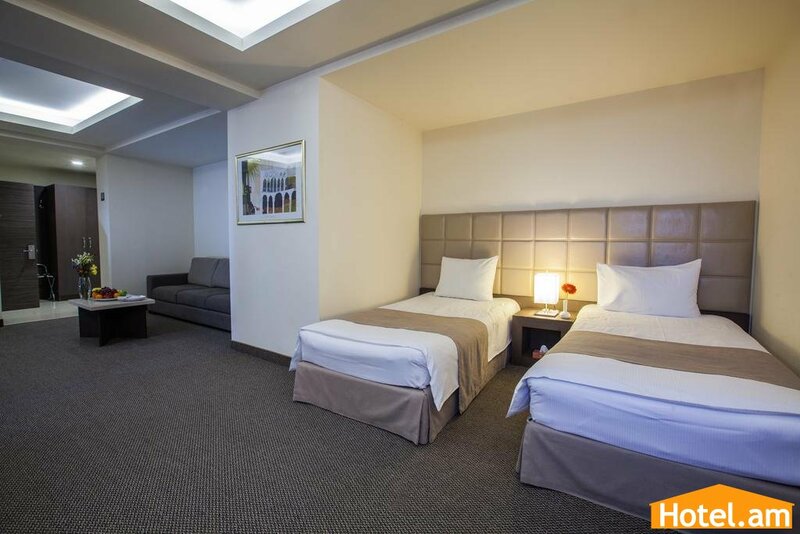 Room Facilities: Safe, Interconnecting rooms, Air conditioning, Desk, Sitting area, Heating, Carpeted available, Sofa, Bathroom, Bathtub, Hairdryer, Bathrobe, Free toiletries, Toilet, Slippers, Telephone, Radio, Satellite channels, Flat-screen TV, Minibar, Refrigerator, Wake-up service.